Into the Badlands TV show on AMC: season two. 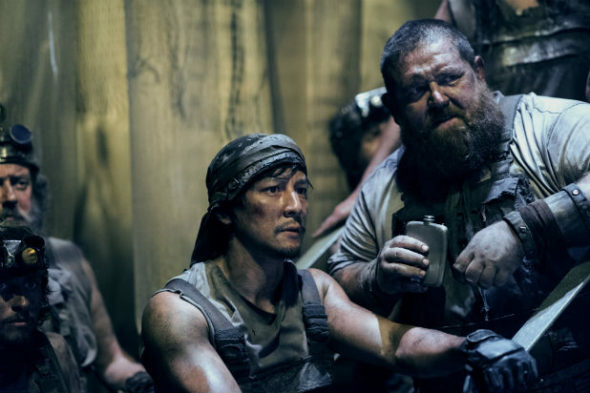 Pictured: Daniel Wu as Sunny and Nick Frost as Bajie. Check out these first-look photos for season two of the Into the Badlands TV show from AMC. The second season of the martial arts drama series will premiere in March of 2017. The new pictures feature stars Daniel Wu, Nick Frost, Emily Beecham, and Sarah Bolger. Into the Badlands also stars Marton Csokas, Aramis Knight, Oliver Stark, Orla Brady, Ally Ioannides, Madeleine Mantock, and Stephen Lang. Learn more about Into the Badlands season two from this AMC press release. 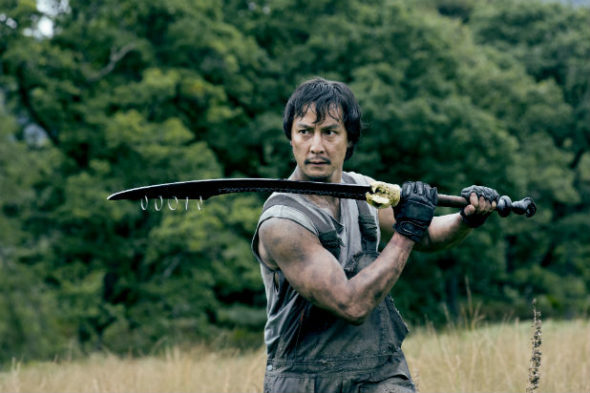 Today, AMC released first look photos from season two of its martial arts drama “Into the Badlands.” The series has scored with critics and fans for its immersive world and the artistry of its elaborate fight sequences. The ten episode second season will debut in March of 2017. 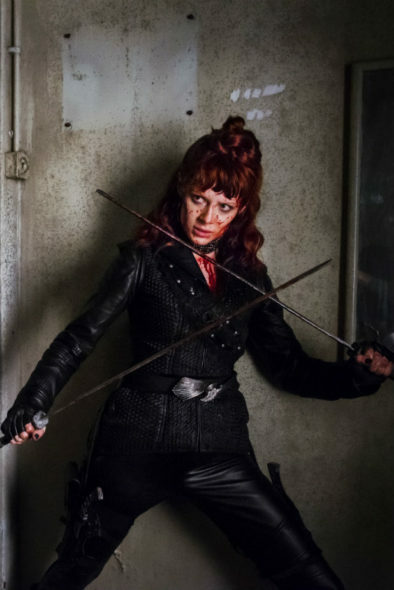 “Into the Badlands” was created by showrunners/executive producers/writers Alfred Gough and Miles Millar and executive produced by Oscar(R)-nominated producers Stacey Sher and Michael Shamberg, director David Dobkin, fight director Stephen Fung and Daniel Wu. The series stars Wu (Tai Chi Zero) as Sunny; Marton Csokas (The Lord of the Rings: The Return of the King) as Quinn; Aramis Knight (The Dark Knight Rises) as M.K. ; Oliver Stark (“Luther“) as Ryder; Emily Beecham (28 Weeks Later) as The Widow; Orla Brady (“Dr. Who,” “Fringe“) as Lydia; Sarah Bolger (“Once Upon a Time,” “The Tudors“) as Jade; Ally Ioannides (“Parenthood“) as Tilda; Madeleine Mantock (Edge of Tomorrow) as Veil; Stephen Lang (Avatar, Don’t Breathe) as Waldo and Nick Frost as Bajie (Shaun of the Dead). Into the Badlands TV show on AMC: season two. Pictured: Emily Beecham as The Widow. Into the Badlands TV show on AMC: season two. 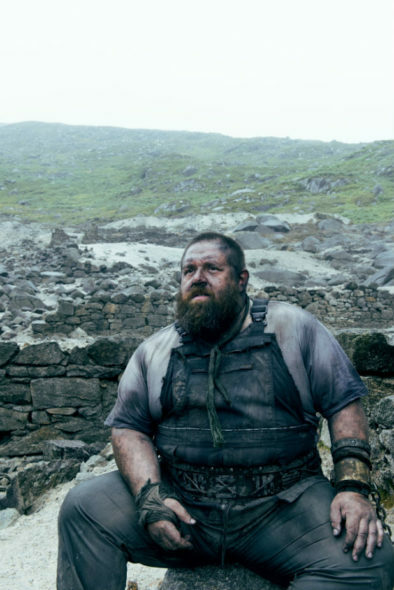 Pictured: Nick Frost as Bajie. Into the Badlands TV show on AMC: season two. Pictured: Daniel Wu as Sunny. Into the Badlands TV show on AMC: season two. 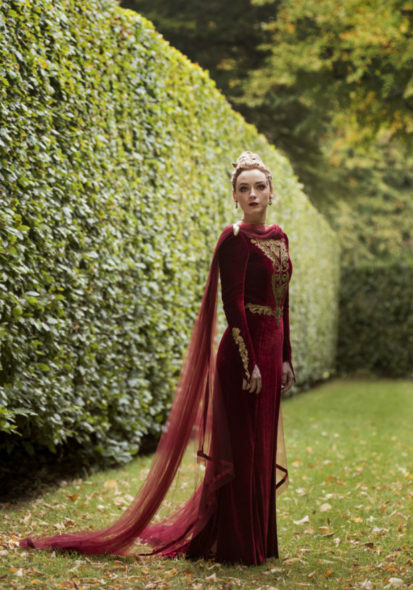 Pictured: Sarah Bolger as Jade. What do you think? Have you watched the first season of the Into the Badlands TV series? Do you plan to tune in for season two on AMC?